*I got this one off of S&S GalleyGrab. I love this time period and am excited to learn more about the major players in the Cousins' War, such as the Duchess, the Queen, and the King's Mother. Hopefully I can read it before the third book in this series comes out! 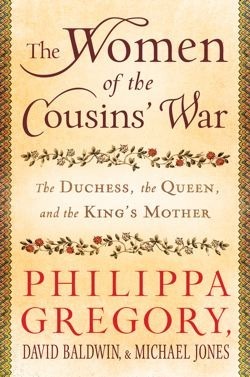 Goodreads says, "#1 New York Times bestselling author Philippa Gregory and two historians present a must-have non-fiction book for both fans and scholars." *I won this ARC through LibraryThing Early Reviewers. Thank you! I can't wait to read it; I hope it is as good as Anna and the French Kiss. Goodreads says, "Budding designer Lola Nolan doesn’t believe in fashion . . . she believes in costume. The more expressive the outfit -- more sparkly, more fun, more wild -- the better. But even though Lola’s style is outrageous, she’s a devoted daughter and friend with some big plans for the future. And everything is pretty perfect (right down to her hot rocker boyfriend) until the dreaded Bell twins, Calliope and Cricket, return to the neighborhood. When Cricket -- a gifted inventor -- steps out from his twin sister’s shadow and back into Lola’s life, she must finally reconcile a lifetime of feelings for the boy next door." *Thanks to Esther at Macmillan Audio, I received this for review and one to giveaway. This was one of my "WoW" picks back this past spring and I think I'm going to love it, especially since it's set at the Outer Banks. *I heard from the Austenblog that this book is going to be made into a movie, so now I must read it! Plus, I love anything Austen. Goodreads says, "Jane Hayes is a seemingly normal young New Yorker, but she has a secret. Her obsession with Mr. Darcy, as played by Colin Firth in the BBC adaptation of Pride and Prejudice, is ruining her love life: no real man can compare. But when a wealthy relative bequeaths her a trip to an English resort catering to Austen-crazed women, Jane's fantasies of meeting the perfect Regency-era gentleman suddenly become realer than she ever could have imagined. Decked out in empire-waist gowns, Jane struggles to master Regency etiquette and flirts with gardeners and gentlemen;or maybe even, she suspects, with the actors who are playing them. It's all a game, Jane knows. And yet the longer she stays, the more her insecurities seem to fall away, and the more she wonders: Is she about to kick the Austen obsession for good, or could all her dreams actually culminate in a Mr. Darcy of her own?" *I bought this one on vacation at the most adorable book store called Duck's Cottage which is located in Duck, NC (OBX). I love it there; they sell books, some souvenirs, and my favorite...coffee. This book caught my eye. Goodreads says, "In 1937, Shanghai is the Paris of Asia, a city of great wealth and glamour, the home of millionaires and beggars, gangsters and gamblers, patriots and revolutionaries, artists and warlords. Thanks to the financial security and material comforts provided by their father’s prosperous rickshaw business, twenty-one-year-old Pearl Chin and her younger sister, May, are having the time of their lives. Though both sisters wave off authority and tradition, they couldn’t be more different: Pearl is a Dragon sign, strong and stubborn, while May is a true Sheep, adorable and placid. Both are beautiful, modern, and carefree . . . until the day their father tells them that he has gambled away their wealth and that in order to repay his debts he must sell the girls as wives to suitors who have traveled from California to find Chinese brides." Eeek! Congrats on winning LOLA! I can't wait to read that one! I can't wait to hear what you think of Lola and the Boy Next Door. I am looking forward to reading it. 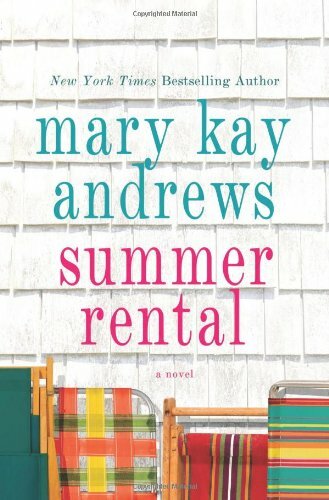 I really liked Austenland and enjoyed Summer Rental. I'm so jealous you got Lola and the Boy Next Door! And Austenland looks like a really good book. I hope you enjoy all you got! Here's my IMM if you want to check it out! Happy reading! I finished Lola last night, and I loved it! I hope you do as well. :) Enjoy! Great books! 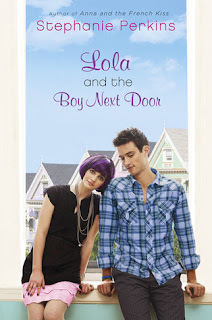 I really want Lola and the Boy Next Door. Also, Austenland sounds fascinating even to this non-Jane Austen fan. 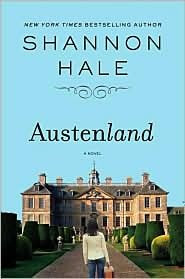 i've had austenland for awhile, but haven't had a chance to read it yet. the cousins war looks really interesting, i will have to check it out. Thanks, guys! I will be sure to share my thoughts on Lola. I plan on reading it soon. Thanks for visiting! What a thoroughly fun bunch! Great books this week! I am WAY jealous of Lola! Can't wait to see your review of it! Lola! :) Yippee! :) Everyone is wanting to read that one! You have a nice list of books in your mailbox this week. I really enjoyed Shanghai Girls. I hope you like it too. I am so jealous that you have Lola! I can't wait to read that one. 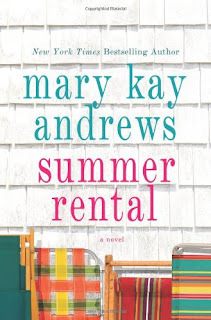 ooh, summer rental! that one caught my eye recently - what a perfect vacay read. hope all is well :) ! !